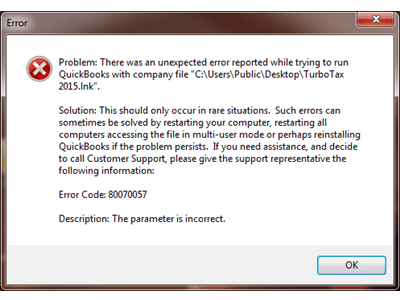 QuickBooks Error 80070057 occurs when the QuickBooks Accounts Manager creates the Company File in QuickBooks 2014, and when you try to open the same file it does not opens. Every time you try to open the file within QuickBooks 2014, an error message shows up that tells that the file was created in the earlier version. When you double-click on the file, an error message shows up, which is Error code 80070057 the parameter is incorrect. This kind of error shows that the Manager is getting QuickBooks Error 80070057 while opening the file also indicates that the Manager does not have enough rights to read/write and create/delete the Company File. Well, even if this happens, you need not worry. You can choose an easy, quick and efficient means to fix the error, which is through QuickBooks Recovery Tool. With its user-friendly and self-guiding features, you can get help to perform the task to resolve this error properly. QuickBooks Error Code 80070057 typically occurs when you try to open the file from a workstation located on a Server or a Host Computer. This is also referred to as QuickBooks Multi-user Setup. You will find all about the Error in the following sections in detail. There are different causes which can show up the Error code 80070057. Most of them are related to the communication issues with the company files over the network on a different computer (Server or Host). Some of the majorly known causes behind streaming QB Error 80070057 “the parameter is incorrect or You do not have sufficient permissions”. Below given are some causes and you can correct them easily. The device/ computer has some connectivity issues when you are trying to open a company file kept in some other folder. The third-party firewall is not exactly applicable. The antivirus used is Bit Defender that barricades the uncommon ports when the data accumulates between devices. QuickBooks Desktop 2018, 2017, and 2016 use the database server running on the host computer. This database service communicates through ports 56728 (2018), 56727 (2017), and 56726 (2016) respectively. Bit Defender blocks these ports via the default system. The Network Data (.ND) could be damaged. This is a configuration file that stores the information relevant to QuickBooks Company File accessibility in a multi-user environment. The Network Data file (.ND) allows the program to recognize the database server that it will use. If you move, delete, or corrupt the file on the host or the server computer and the file becomes unreadable, then you will run into QB Error 80070057. The error will come every time you open the company file. Direct Attempt to open the company file from the shared folder and QuickBooks cannot open company file shared folder because of the QuickBooks server file permissions on the server or Host computer. In fact, you should open the company files from within the QuickBooks Desktop Software. If the Error Code 80070057 QuickBooks occurs even if you try to open the file from within QuickBooks the Network Data (.ND) fix is crucial as explained in the previous section. 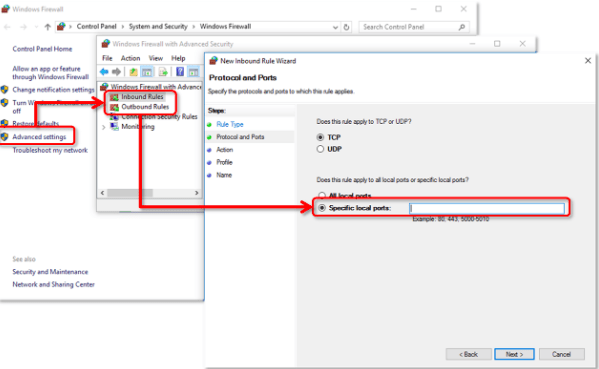 Incorrect Firewall and Internet security settings for QuickBooks Desktop might be hindering proper syncing with QuickBooks Database present on the Server or host computer which needs fixation. The commonly used antivirus programs do block common processes. Similarly, QuickBooks Communication Ports are some other threats. The Bitdefender Blocking QuickBooks is reported as the ace of Antivirus Programs Blocking QuickBooks till the time the QuickBooks Exceptions for Antivirus are not allowed in the Antivirus program that you have installed on the computer giving you the QuickBooks Error code 80070057. Antivirus programs blocking QuickBooks email is another commonly occurring issue. The Anti-virus blocking QB leads to problems while sending Invoices from QuickBooks. It’s quite simple and Quick to Fix “ Error code 80070057 ” with the above simple steps. You can be back in business following simple troubleshooting steps. Hopefully, you understood the causes now and can fix any error related to “the parameter is incorrect or You do not have sufficient permissions”. Take a look at the troubleshooting steps underneath and perform these cautiously. Ensure to perform the steps in the sequential order given below. The last thing that you must know about is, you may not able to open the company file due the causes described and you can also come across QuickBooks Error 6000 series errors. Firstly, mount a fresh copy of Network Data (.nd) configuration file in the company folder. Sign out all the users and close QuickBooks on all the computer. Log in as Windows Administrator and browse to the company file folder. Search for .nd that that is linked to Company file having problems. Once you find the file then either rename or delete it. As a result, the file is automatically created in both cases. Moreover, QuickBooks network data file will capture new network settings to check accessibility on the workstations. Open QuickBooks Database Server Manager on the Server or the File Hosting computer and rescan the company file folder. In windows taskbar search type QuickBooks Database Server Manager. Click on the Icon open it. 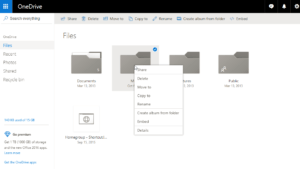 Now browse to the folder location and choose the folder & select it. Click Scan just as suggested in the previous step. The scan primarily reconfigures the QuickBooks File Sharing Permissions in order to make it accessible to all QuickBooks Workstations and does report the errors regarding Firewall and Internet security settings for QuickBooks or if the Antivirus Programs Blocking QuickBooks. Open the file from the Server or Host Computer and then from the computer that showed up QuickBooks error code 80070057. If the problem still persists, this has to be addressed by QuickBooks Certified ProAdvisor. Alternatively, you can try QuickBooks File Doctor from both QuickBooks Server Computer and the QuickBooks Workstation to check if there is any connectivity error occurs. 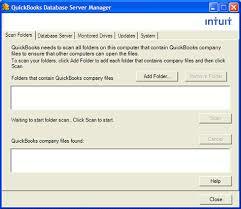 Note: Please keep the QuickBooks File Doctor window open for QuickBooks Technician to take a look at. Else, most of the steps may have to be performed again and take additional time. If getting the same “QuickBooks Error Code 80070057” after using following steps, quickly get in touch with QuickBooks ProAdvisors at QB Error Support Number 1-877-263-2742. We feel glad helping you, and you are always welcome over here on this platform. Further, if you ever feel the need of taking advice from your fellow business owners that happened to be our existing subscribers, you can visit our thriving QuickBooks Community. Still, if you do not find an answer for your specific question within the community.